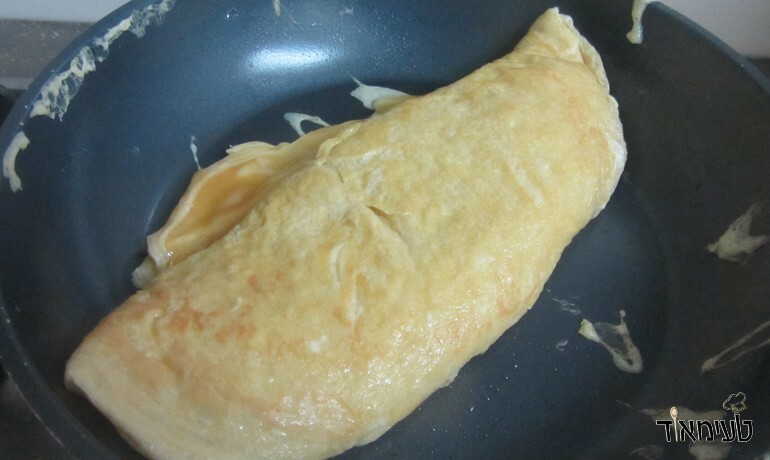 Japanese omelet called tamago is soft and sweet. 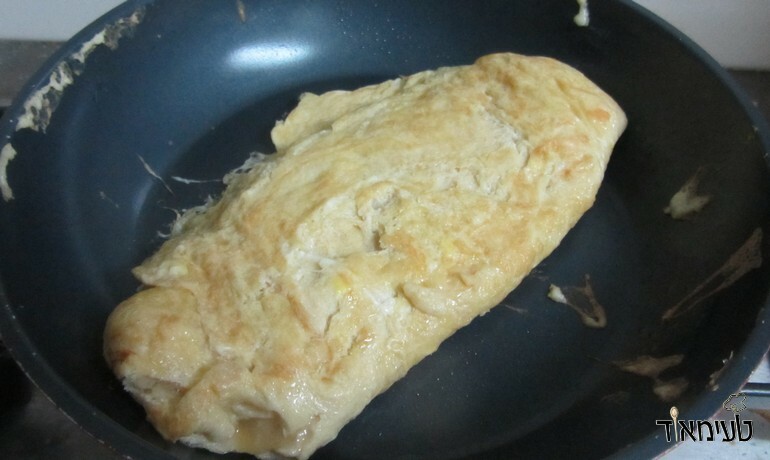 It requires a little skill to make it - but if you follow the instructions you will perfect the Japanese omelet. 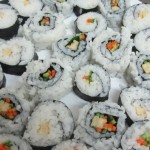 Tamago is sometimes put in sushi but is also delicious on its own. 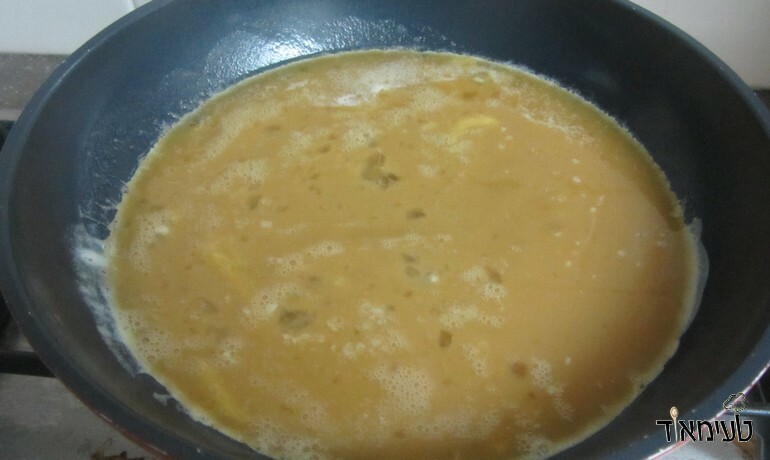 Whisk the eggs, soy sauce and sugar. In a small pan, melt the butter and take care of all sides. 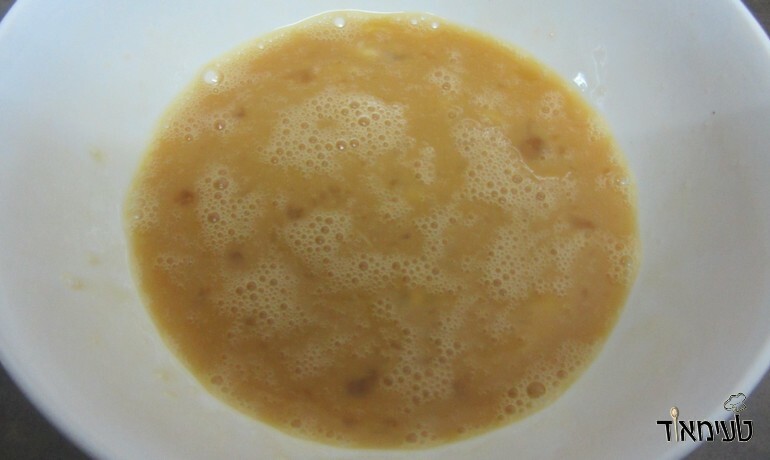 Fry on medium-low heat while the bubbles formed during frying. When the bottom of the omelet is ready - Using a spatula fold omelet in a third. Fry for half a minute until it stabilizes again. 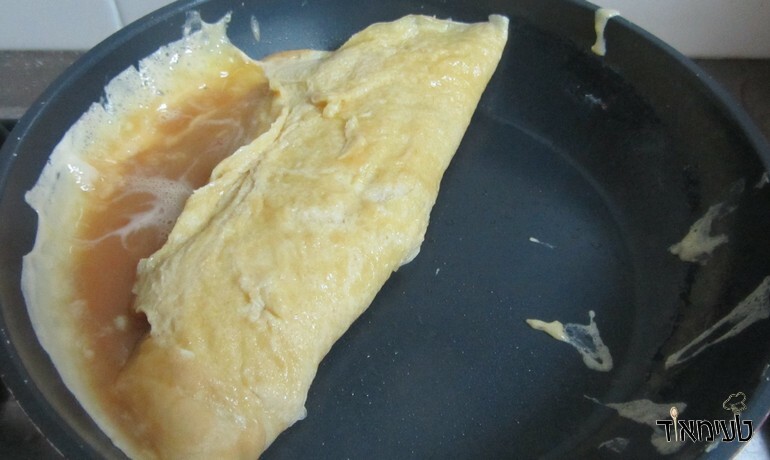 Continue to fold the third fold – the result being 3 layers of omelet. Fry for a minute or two on both sides until the omelette is ready and all the egg is ready, soft and juicy. 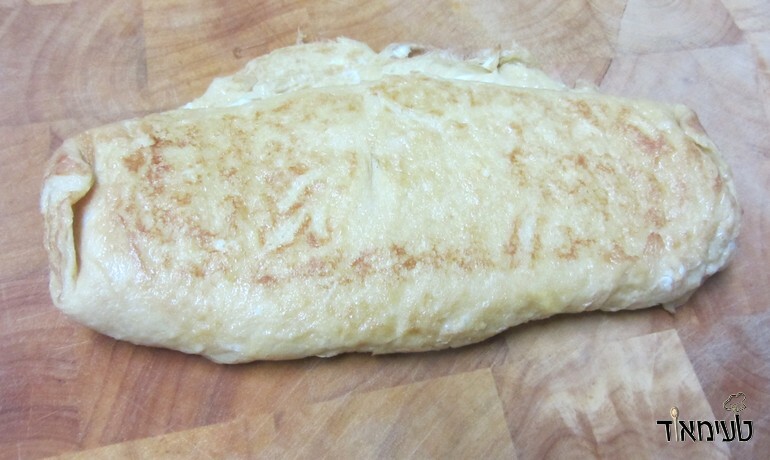 If the omelette looks a bit “off”, its ok, we are going to be cutting it into aesthetic strips. Remove to a clean cutting board. 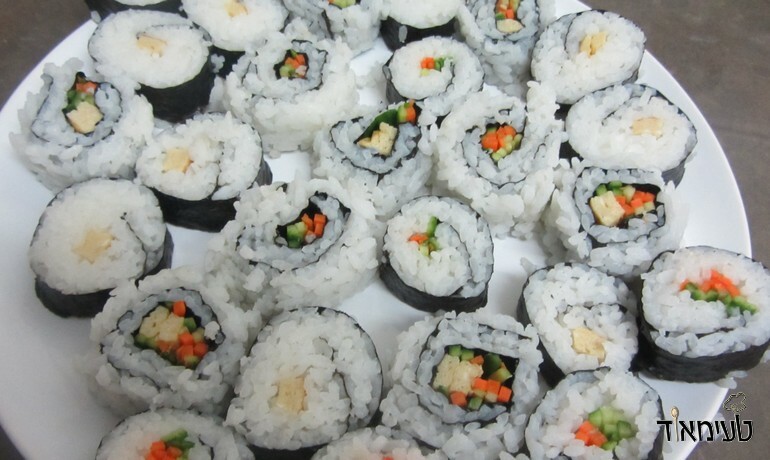 Wait a minute for the tamago to cool. 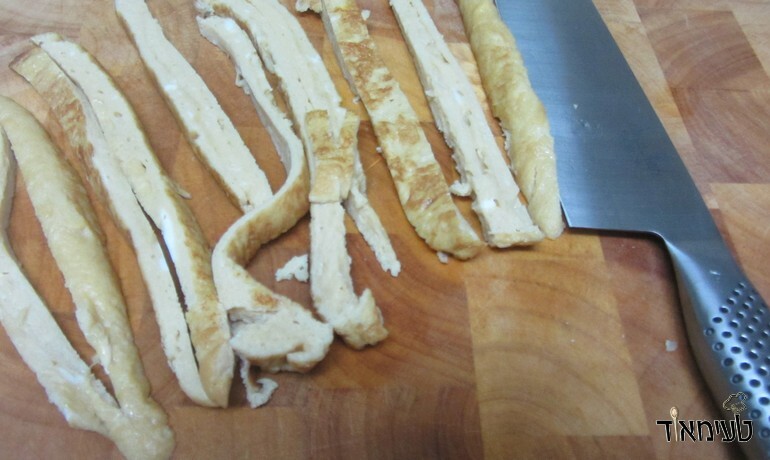 With a good knife cut the omelette into half cm wide strips. 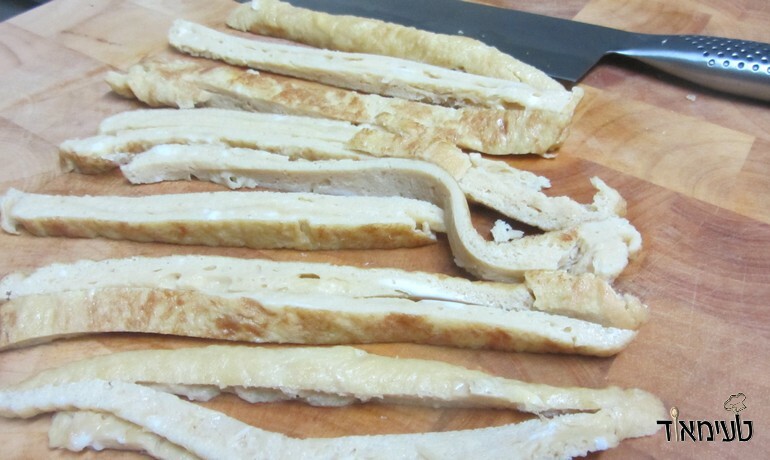 Then each strip lengthwise slice.